Mr. Stone serves as Co-Chair of Whiteford, Taylor & Preston's Technology and Intellectual Property Practice Group, and has extensive experience in the preparation and prosecution of patent applications in the mechanical, software, electrical, chemical, biomedical, and business method arts; the preparation and prosecution of Patent Cooperation Treaty ("PCT") applications and foreign applications; and the performance of patentability analyses and preparation of patentability opinions. He has represented plaintiffs and defendants alike in federal courts and other forums on claims of patent infringement, as well as licensors and licensees in preparation and negotiation of patent license agreements. 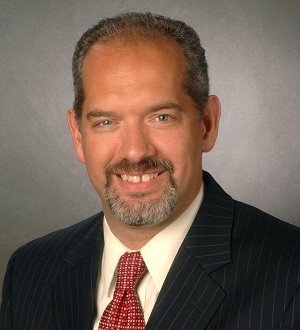 In addition, Mr. Stone has extensive experience in the preparation, filing, and prosecution of trademark applications at the U.S. PTO, and has represented plaintiff and defendant clients in federal courts on issues of trademark infringement, and representation of trademark owners before the Trademark Trial and Appeal Board (“TTAB”) in Opposition and Cancellation proceedings. Mr. Stone also assists clients in the preparation and filing of copyright applications at the U.S. Copyright Office, and represents business entities concerning use of third party copyrighted materials. Mr. Stone is a former United States Patent Examiner. He was admitted to practice in Maryland in 1996 and the PTO in 1997.